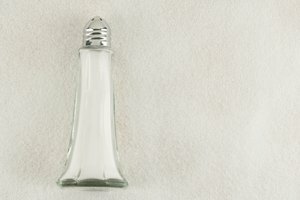 Salt is a go-to seasoning and is also essential to human health. There are quite a few varieties, yet the differences are relatively unknown to the average person. When it comes to pickling salt versus kosher salt, here's what you need to know. Nutritionally speaking, salt helps you to retain water and provides electrolytes that are essential to the normal functions of your cells and organs. Salt helps to maintain the fluid in blood cells, to transmit information in the nerves and muscles, and to use certain nutrients from the small intestines. In cooking, salt makes food taste better. When used in brining, it adds flavor as well as moisture by trapping water in the meat. Salt is also a natural preservative, fending off harmful microbes or limiting microbial activity in certain processes like making cheese, sauerkraut, and bread. Pickling salt is a fine-grain salt with a uniform structure from granule to granule. It contains no iodine or anti-caking additives. 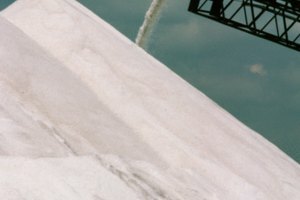 Though it is processed, it is pure salt. The fine grain allows it to easily dissolve in water but also makes it easy to clump when exposed to moisture. Pickling salt is generally used in pickling and canning foods but can also be used for baking. Because it dissolves easily in water, it works well for brining. 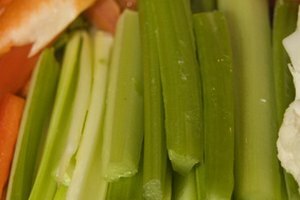 It's even great for seasoning French fries and popcorn, thanks to the fine grain, and is a good substitute for table salt. Kosher salt was originally used to “kosher” meats by drawing the blood out. It's a pure, coarse-grain salt with no iodine or anti-caking additives. It has an irregular, flat, flaky shape that helps it adhere to food, but this shape means it dissolves relatively slowly compared to pickling salt. You can use kosher salt to season almost all food before or during the cooking process. Use it to season meat, which helps pull out juices and, in turn, browns the meat during cooking. 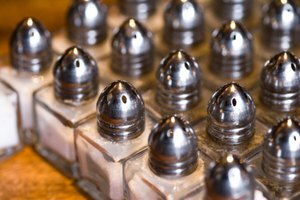 It can also be used for brines, but you'll need a higher volume of kosher salt than pickling salt because of kosher salt’s bigger and coarser grains. When measuring, use weight instead of volume. Table salt is a fine-grain salt, and most varieties do contain iodine and anti-caking additives. Iodine was added to salt in the early 20th century to help supplement iodine in people's diets. However, the mineral is available in seafood, so if you eat enough seafood, iodized table salt is unnecessary. 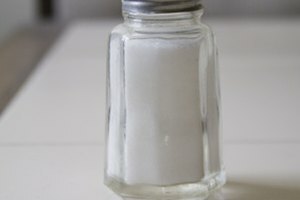 Because of the addition of iodine, table salt tends to have a less pure taste—it can be bitter and may not react well with certain foods. For instance, iodized table salt turns pickles dark and inhibits bacterial fermentation when making sauerkraut. Table salt doesn't work well in brines; the anti-caking additive does not dissolve, so it creates a cloudy solution. I’m Just Here For the Food (Food + Heat = Cooking); Alton Brown; 2002.